Latest updates about our work, observations and experimentation in the Knight Lab and Knight Lab Studio. We’re probably best known for our innovative suite of open-source, adaptable, and lightweight tools for media makers. The most popular, TimelineJS, has been used by more than 250,000 people to tell stories seen hundreds of millions of times, and is available in more than sixty languages. 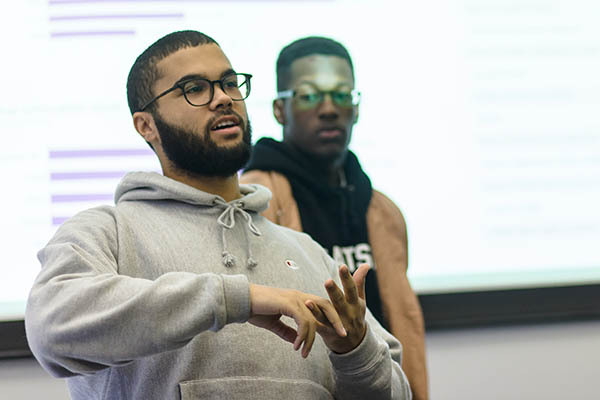 We also develop prototypes of tools for reporting, data management, research, and storytelling, often in connection with Northwestern classes. Students from our community have gone on to work at the New York Times, Vox Media, NPR, Medium, FiveThirtyEight, the Washington Post, the Los Angeles Times, Huffington Post, and more. Pushing media into new spaces. The Podcast Discoverability group present their findings to the rest of the studio class. Knight Lab Studio is an interdisciplinary lab class working at the intersection of storytelling, design, and technology: all media and platforms are fair game. As we work on these problems, we produce cutting-edge digital work, research, and thought — innovating across every part of the media-making process. Each quarter, diverse student teams work alongside Knight Lab faculty and staff to explore emerging technologies and take on real problems. Our process combines user and audience research, design thinking, critical and analytical work, iterative building, storytelling, new technology, and a healthy dose of experimentation. Students make the Lab a vibrant place. Students who show initiative and commitment to developing their skills may be invited to join the Lab's Student Fellowship program. Fellows make key contributions to the Lab's technology, editorial coverage, and educational efforts. 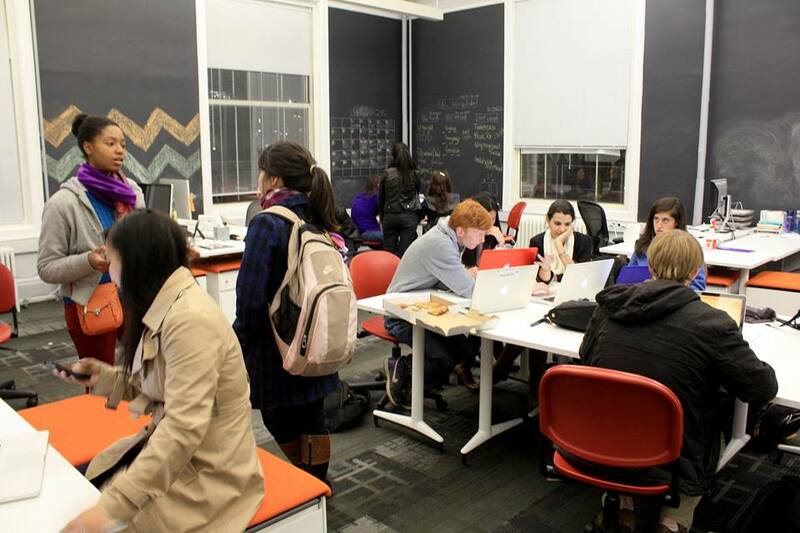 Students who have been Knight Lab fellows regularly go directly from Northwestern to the world's leading newsrooms and technology companies, including NPR, New York Times, Washington Post, Medium, Amazon, Los Angeles Times, and others. Learn more about how students get involved with Knight Lab. The Local News Initiative is a two-year research and development project intended to spur experimentation of new approaches to local news—through deeper audience insights that could give rise to more reader engagement, improved trust and, ultimately, more sustainable business models. 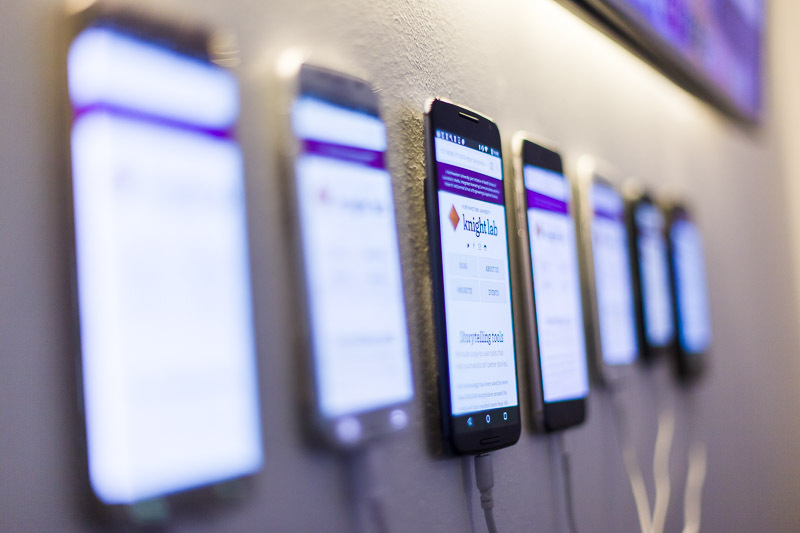 Mobile Devices in the Device Lab. Knight Lab's faculty members contribute experimental ideas and technology to the Lab. Sometimes these ideas are developed in undergraduate classes co-taught by computer science and journalism faculty; sometimes they are developed by Ph.D students exploring specific concepts. Research projects have done everything from help readers find new books to tell them which candidate they'd likely support in an election.